We spend a third of our lives in bed. It's a place meant for rest, relaxation (and hopefully a little recreation). And even though most of us are fine spending the necessary cash on some nice shoes or a jacket, we neglect our sheets—an item we use everyday. You don't want to be the guy with ratty sheets. Especially when you've got an overnight guest. Herewith, everything you need to make an informed purchasing decision. Don't Sweat Thread Count. It's essentially a marketing ploy. 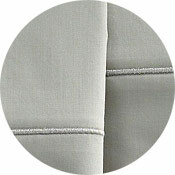 Quality 250-thread-count sheets can be a lot softer than cheap 900-thread-count sets which can feel like sandpaper. Forget the numbers and just go with what feels good. The 4.2 ounce cotton has been brushed for softness, but will get even softer after each wash, not unlike your favorite shirt. Woven from the long, soft fibers of a specific cotton plant grown along the Nile, which makes for a durable and soft fabric. 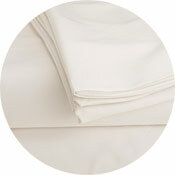 These cool, breathable sheets wick away moisture and are naturally antibacterial making them ideal for warm weather. 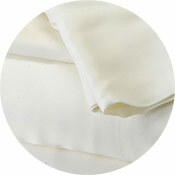 Finely spun cotton creates a silky smooth set of sheets with a hint of sheen (but without the cheesy shine of silk or satin). Save the colors and patterns for your blanket or duvet. 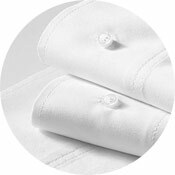 You can't deny the clean, crisp feeling of a nice hotel's white sheets. Why not have that at home? How to make your bed like a soldier. According to Philip M. Tierno Jr., director of clinical microbiology at NYU's Langone Medical Center, you need to wash your sheets once a week in hot water to rid them of sweat, dirt, dead skin and dust mites.